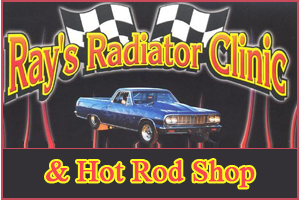 Custom Radiators | Sterling Heights, MI - Ray's Radiator Clinic, Inc. Choose a cooling system specialist to work on your vehicle's radiator. We build custom aluminum radiators and fuel cells for special applications. Our passion is working on classic cars, antiques, and hot rods. 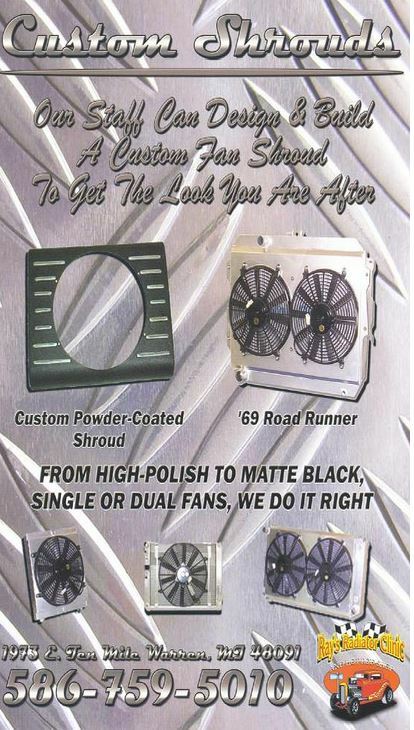 Contact us for custom-built shrouds and fans, media blasting, and powder coating. Ray's Radiator Clinic, Inc., has been in business for more than 30 years, and our owner, Ray Ruminski, has more than 40 years of experience in the industry. He started as an eager 16-year-old and has since acquired a wealth of knowledge. Bring your vehicle to us and you get technicians that truly know what they're doing. We build custom radiators in aluminum or copper-brass, gas tanks, and more. Our specialty is cooling systems and air-conditioning problems. Our technicians also perform a variety of other work using the latest in tools, equipment, and diagnostic aids. Ask us about polishing radiators and fuel cells yourself to save on costs. For a price quote, please email us using our contact page. Be sure to include the complete radiator dimensions, mounting details, hose size, and filler locations, along with the make, model, year, engine size, and horsepower of your vehicle. On request, we ship parts via UPS® from our location in Sterling Heights, Michigan. Thank you for your interest. We look forward to serving you soon.